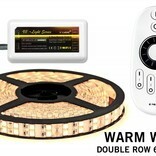 Dimmer LED strip set (complete) with RF remote control and LED strip with 600 warm white LEDs Type 5050. 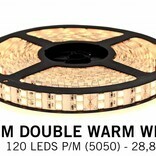 Class A extremely bright LEDs (28W p.m.) Ideal for bright cove or as main light source. 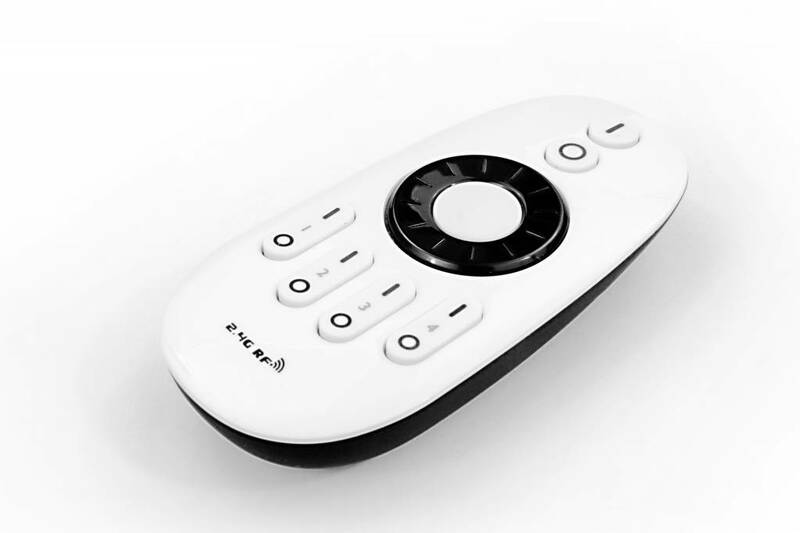 Easy to dim with the RF remote control. 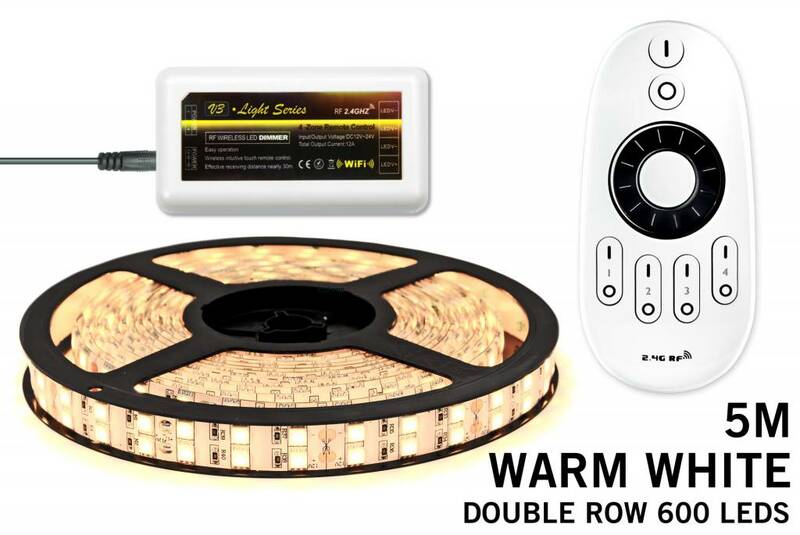 LED strip Warm White (WW); 600 super bright, pleasant warm white type 5050 LEDs with RF controller, RF remote control and power adapter. 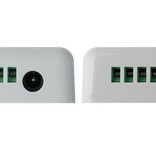 Can also be controlled with the optional wifi box. 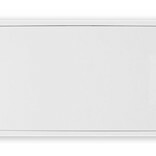 This LED strip with a color temperature similar to incandescent light bulbs with 28.8 watts per meter can be used as main lighting source. 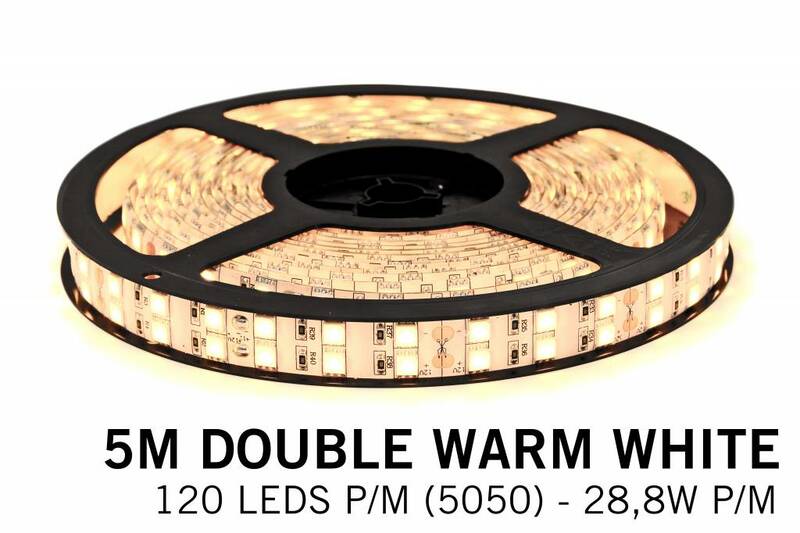 The warm white color and excellent color rendering properties make this extra warm white LED strip an attractive and functional addition to your interior. 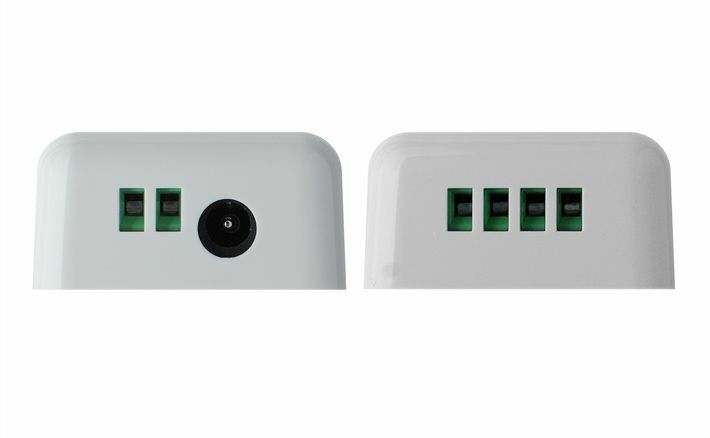 Bright and pleasing to the eyes. 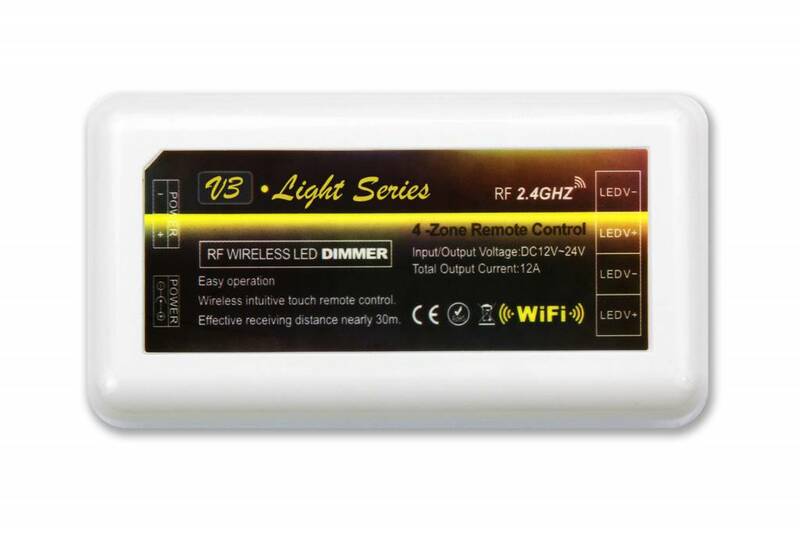 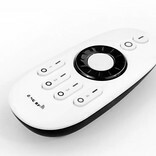 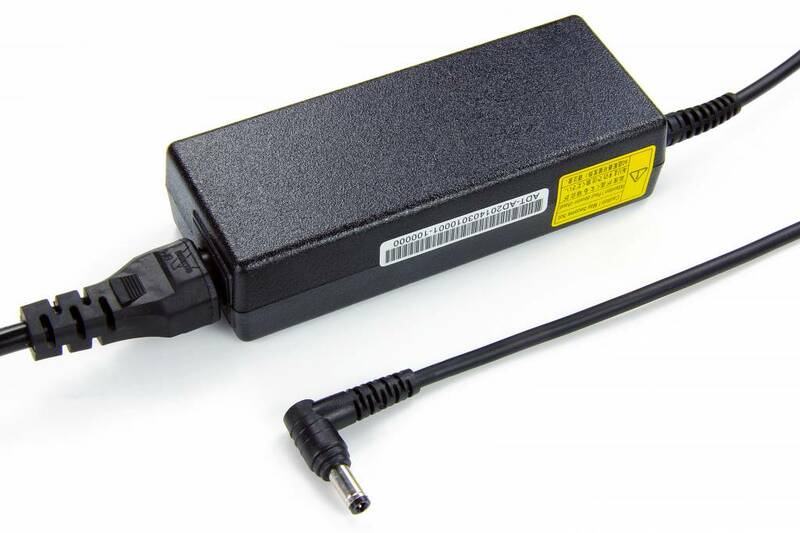 The four-channel RF remote controller allows you to dim the LED strip up to 30 meters distance! 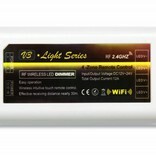 This complete LED strip set will not disappoint you: we are always looking for the best and brightest LED strips in the market and offer it for the best price / quality ratio. 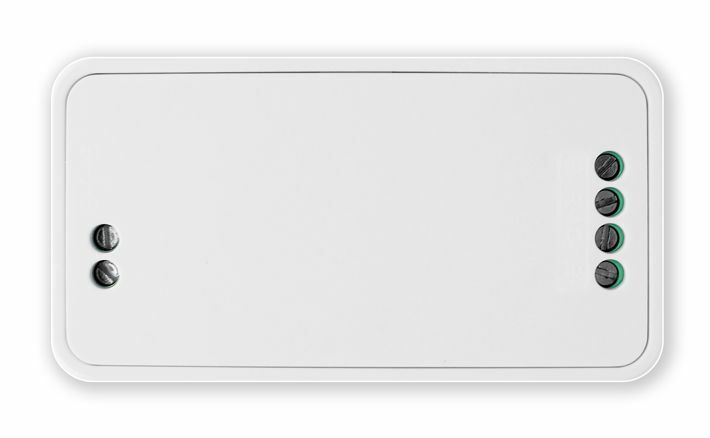 The light output and the sustainability of LED strips is our highest priority. 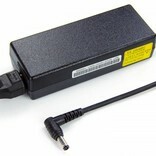 12V / 144W /28,8W p.m.